Ed and I are going to the Gorey Fete next week and if there’s a bonny baby competition, we’ll probably not enter Sonny as he’s just had a very distressing haircut and now his head looks even wonkier. However, should there be a ‘terrible parenting’ competition, I think we could win it. 5) We agree with, endorse and practice the ‘3 second rule’;Dark, dark confessions indeed, but no darker than the one I’m about to share. 6) Forgive me father, mothers, grandparents and aunties, for I have sinned. I am part of that underground network of undesirable parenting misfits. Because at my house, we COSLEEP. When Ed mentioned this to a friend recently, he may as well have produced a samurai sword from above his head, swished it into the air and announced that he was going to cut off his friend’s arms and legs, for fun. The friend recoiled in horror, blood leaving his face, sweat leaking from his head. ‘You can’t do that!” he semi-screamed, as Ed bought the aforementioned and entirely metaphorical samurai knife down upon his friends trembling body. ‘It’s. Just. WEIRD’! Q: Isn’t Sonny clingy?A: No, but he’s very affectionate and likes a cuddle. Just like all kids. A: ..And there is also so much research that says it isn’t. The danger seems to come when a parent is drunk or smokes. Neither of us smoke, and I can’t drink more than a small egg-cup full of shandy, and when Ed is drunk he goes on the couch because he snores like a chesty donkey. Q: How are you going to get him out of the bed? A: By putting him in his own bed when we feel like we’ve had enough. Q: But you’ll never get him out of the bed!? A: Of course we will. It will be another transition period, like moving them from the moses basket to their own cot at 6 months, or weaning, or separation anxiety, or teething. Q: But he’ll never want to leave the family bed?! A: I struggle to see him as a 40 year old man sleeping in a bed with me and his Dad. But if that’s what he wants to do, then fine. Q: (favorite one) When do you ever get time to make baby number 2?A: Never. Absolutely never ever. Because as everyone knows, baby making practice can only ever happen at nighttime. In fact before the sun sets, Ed and I are like negative magnets, completely unable to be near each other. I’ve lost count of the amount of times I’ve merely passed him in the hallway and gone crashing into the bookcase because of Ed’s repellant electrons. The truth is, I absolutely love sleeping next to the human I made. We sleep so much better- subject to the occasional kick to the solar plexus- and in the mornings when he wakes up, he crawls over to me (we bought a big bed), puts his head on my chest and goes back to sleep. It’s wonderful and I love it. When he’s all grown up and gone, I will never get to do that again. The thought already makes me sad if I give it too much attention. So for now, he’s staying in with us. If he’s still here when he’s 40, we’ll just get a bigger bed. I think every parents done that whole list at least once in our lives! That being said, you’re not a bad parent! When our daughter was a baby we didn’t cosleep all night, simply because I was on medication, that for 8 hours ahead me out cold. I was afraid something would happen. Our daughter would wake around 5-6 am to feed, we would bring her to bed (by then the meds had worn off!) & she would have her bottle (I was unable to bf), and sleep with us for several more hours! Sometimes it meant waking up with our bed covered in baby puke & all 3 of us having to hop in the shower to get cleaned then strip the bed & start the day with laundry but we loved the cuddles. She’s 5 now & at about 5 months when the monkey had to be put in a big girl bed (a twin—she refussed a toddler bed lol), she stopped cosleeping! All the power to you! It’s YOUR baby, you get to decide what’s right!!! We happen to cosleep with not one but TWO (miss 3 & miss 1). And I LOVE our bedtime chats and cuddled and waking up to their beautiful faces. P.S. I think we have done everything else on the list too. 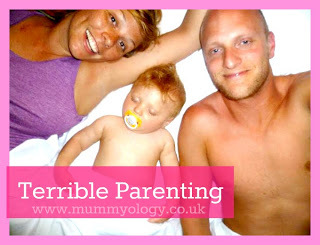 If it works for you then fantastic, if you prefer your baby in a cot then also fantastic – family life is hard and any port in a storm! Personally I wouldnt do it, I tried on two colicky nights a year ago and still wake up in a blind panic convinced that the baby is somewhere in the bed and I’ve accidently smothered her with the duvet, that will probably go on till she’s 18! My son and daughter are 4 and 3 years old…and both prefer to have someone(me or my husband) sleeping in their beds or to be in ours. They also like to have their backs rubbed to fall asleep..and sometimes their fingers or tummies or foreheads….eventually I’ll get a full night of sleep again…..eventually….. I agree completely with your cosleeping views. You put how I feel in words. I love sleeping with my son. I thought my husband would hate it but it was him that kept telling me, “he is just to cute to move”. I now one day he will decide he wants to sleep in his own bed and that day will crush me but until then I am going to snuggle up to my little creation, smell his hair and enjoy every second of it. Beside he is like having a heater in the bed. The kids literally heats up the whole bed. I have had friends react the same horrified way to co-sleeping, and while they struggle with sleep problems with their kids I just chuckle. Goodness me, anonymous poster. I mean, that sounds a nightmare! Logistically, I mean. Tell us, where does one find a proportionally appropriate bed? This friend that was shocked, are they a parent? I think that many people change their views drastically when they have made this venture into the madness called parenthood. Perspective I guess…but I do cosleep, more for the ability to sleep those extra few hours than to cuddle…the cuddles are nice but having three active children (I mean, which children are inactive?) all under 7 years old I allow them to hop in bed when the older two wake up and the snooze button of reality is hit. All of them in the bed and there is a lot more than a hit to the solar plexus so I limit that to just the few prewaking times. There have been times though that I give up the bed and let them sleep and go find myself somewhere with a little more space! Co-sleeping all the way!!! Great post! Love this! We have a 3 year-old little beauty who slept with us till she was one. At 1 we took the front off of her crib and pushed it up against our bed (because she hated being alone in her crib in her room). By 2 she was ready to be in her own room but only until the wee morning when she would wake and come to bed with us. We are now blessed with a 9 month-old little handsome and SHOCK he sleeps with us! Even if I try to put him in the playpen for naps he awakes immediately, not wanting to be alone. I know this because the second I lay down with him he’s out like a light. During the night he usually likes to sleep across my chest until he’s out cold and then he’ll sleep between us for awhile until he needs the comfort of my arms cuddling him again. Sure there are times that I’m like “Ahh, I wish I didn’t have a baby slung across me while I’m trying to sleep!” But then I quickly come back to earth remembering that my baby girl did this too and now she’s too big to ever do it again, the second her daddy leaves for work every morning though she climbs into bed next to her brother and I falling back asleep. All too soon our babies will not need us so if it makes them more comfortable to be near us now, we soak it up. Now onto another dirty phrase that people shriek at…I’m a “stay at home mom”!!!!! I just found you through Pinterest and wanted to let you know that you have a new fan! I love your humorous writing style and honesty about parenting. My son is now two and since he was born my husband and I have done countless things that we swore we’d never do (co-sleeping, letting our son watch tv, eat sweets, etc.) We are all perfect parents until we actually have kids! Sometimes you’ve just got to do whatever you can to get through the day without losing your sanity completely. Thanks for the no bulls**t blog! Great article. 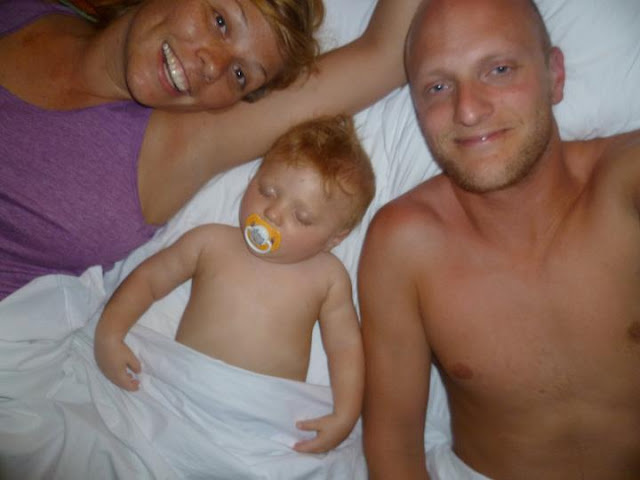 Our son was a terrible sleeper, so Cosleeping was the best option! Neither my husband or I were at all bothered by it and at least we all get a good nights sleep. Once he is in with us, he sleeps like an angel! He still cosleeps with us and he is 4yrs old in 2 weeks! That said, he slept in his own bed until 6.30am this morning, which is a record, and I was laying awake from 5.45 wondering where my snuggles was?! Amen to that! We co-sleep with our youngest, don’t bathe our kids every night, but usually every second night, sometimes I even put on a show for the kids to watch while I ‘snuggle’ (nap) with them! We were also a co-sleepin family! My boys are now 18 & 14 and both sleep in their OWN beds now. They turned out just fine! Enjoy those precious moments with your little one! They grow so very fast! I enjoyed your notes on Co sleeping and the outrage that some respond with. I also Co sleep with my children. They are now 10, 8 & 7. It’s not nightly and had been sporadic for the last several years. But when they were infants they all had their turn breastfeeding overnight in bed with me. I wouldn’t have done it any other way! They all transitioned into their big kid beds just fine and I never needed to purchase toddler beds since they stayed with me until they could handle a twin. I had to get used to very little blankets and pillows, since are dangerous for infants but I’m a very light sleeper, so I never had to worry much about them getting into peril while I was out cold! Their dad usually slept on the couch or was working nights, so it wasn’t very crowded. Now that they’re older they take turns sleeping with me. I occasionally get a night to myself but it’s usually interrupted by my daughter, the youngest waking with a bad dream and joining me anyway! Is easier to just have her close to begin with and saving that hour getting her resettled! Kids grow up way too fast and I will miss them so much when they get too old to cuddle! People stress about getting the kids to sleep alone after letting them sleep with you regularly, but I have this to rebut: just give your kids so much love that they know it will always be there. When you push them away, that’s when they worry and cling. Smother them with your love until they want to run away with confidence!